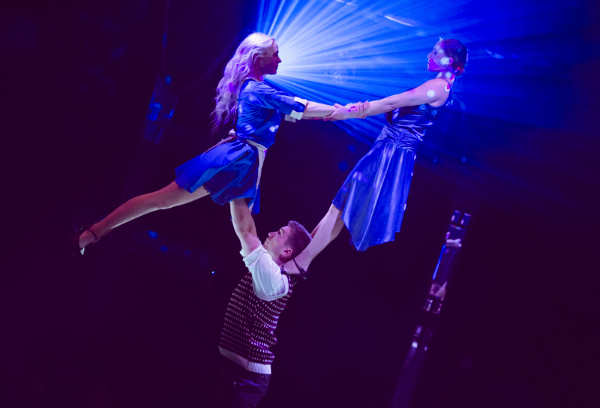 Black Cat: Bohemia at Underbelly ended in fine feline form! Our headline presentation for the 10th anniversary year of Underbelly Festival, Southbank closed on September 30th ’18. 41 packed houses and standing ovations later and we couldn’t be prouder of our cast and team, and the psychedelic cabaret-circus joyride which was created this year. Thanks to everyone who came along. 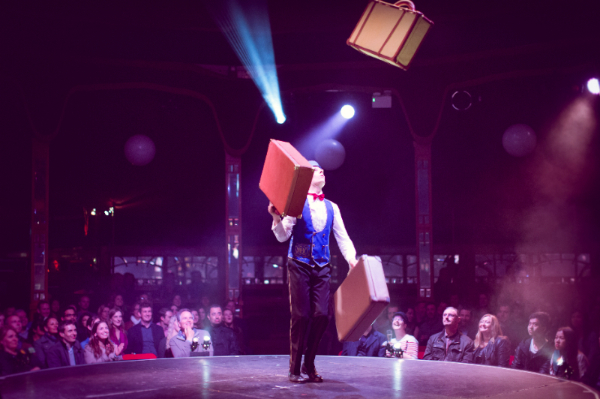 Further information on the show HERE– and Bohemia will be back in 2019, watch this space! 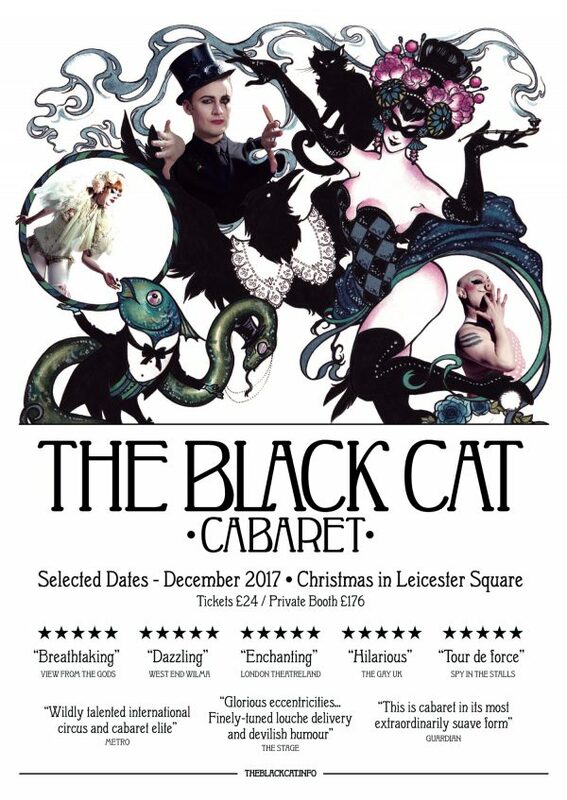 ‘Hotel Black Cat’ was a riotous explosion of cabaret, circus and live music, all set in a bohemian place of former grandeur. Our award-winning Salon des Artistes was originally born at Hotel Cafe Royal, Regent St, W1, and was hailed as the most upscale 5 star cabaret in town before moving just around the corner to the gorgeous deco surroundings of Brasserie Zédel. 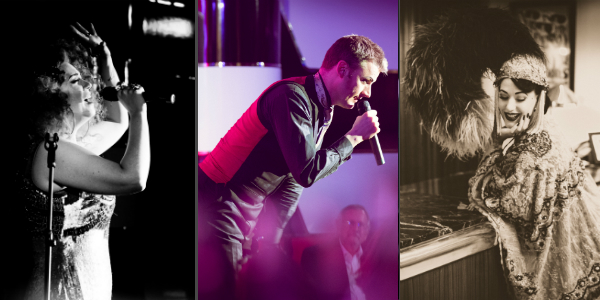 A timeless cabaret which is melodious, provocative and just downright hilarious, combined with a full fine dining experience. Click here for ticket purchase and further information. Questions? Click here for the answers!